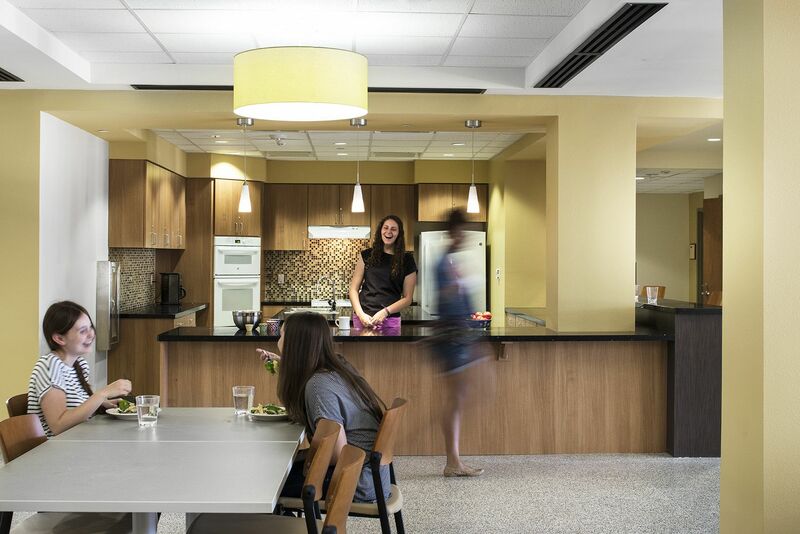 KSQ’s renovation of residence halls at Baylor University demonstrates that not all campus upgrades need a big budget to be successful. 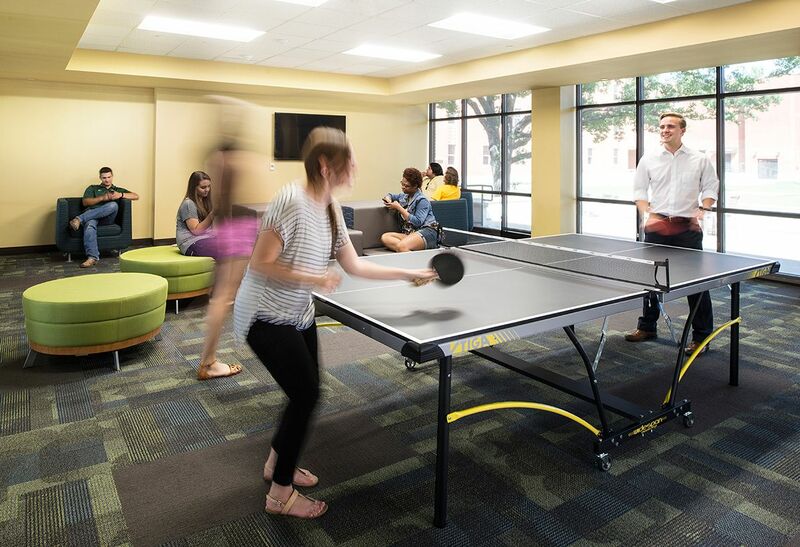 Both North Russell Hall and South Russell Hall were updated and living-learning environments were created as part of the transformational student experience at Baylor. 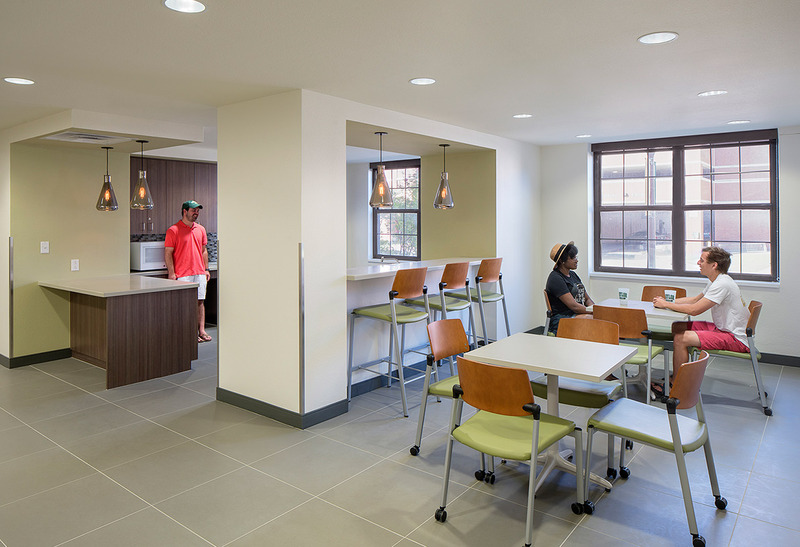 Penland Hall received new spaces for student gathering and socializing with reduced capacity making room for lounge and study spaces on each floor, and resident faculty and staff apartments at the ground level. 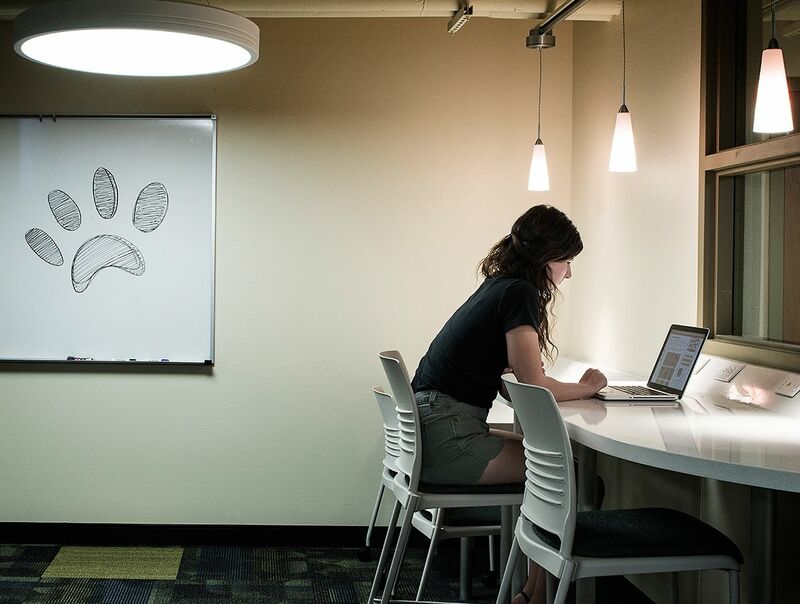 The 53-year-old South Russell Hall is now home to the University’s Education Living-Learning Center–a community for students studying to become educators–and includes faculty-in-residence apartments, study lounges, a classroom and seminar room. The 222-bed hall has both single and double rooms, a new laundry area, full community kitchens and vending machines, redesigned community bath areas, and a new lower level lounge with a fitness room and game and recreation area. 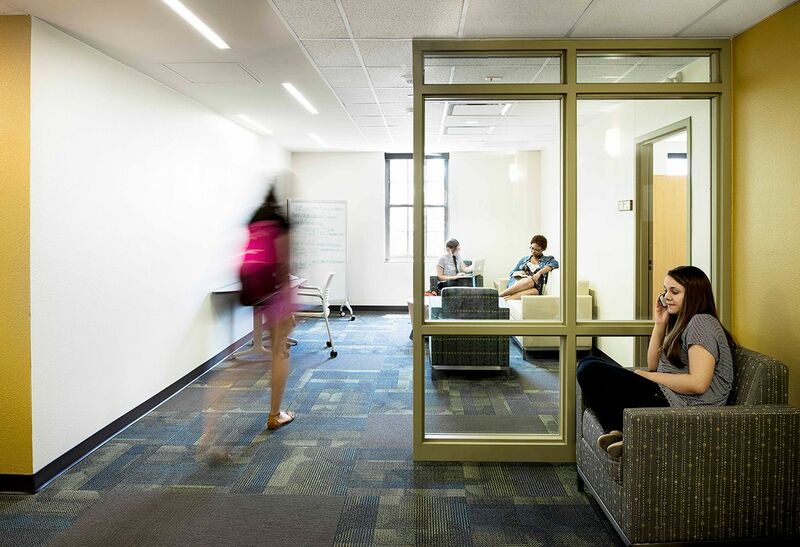 KSQ designed “fish bowl” glass-encased study rooms in the corridors allowing students to “see and be seen” while studying. The corridor design also brings in natural life and prevents the hallways from feeling dark and desolate. A central, open staircase now connects the three levels to the basement and makes the lower level student lounge more accessible and inviting. A new foyer and centralized front desk area serve as organizing elements for the space. 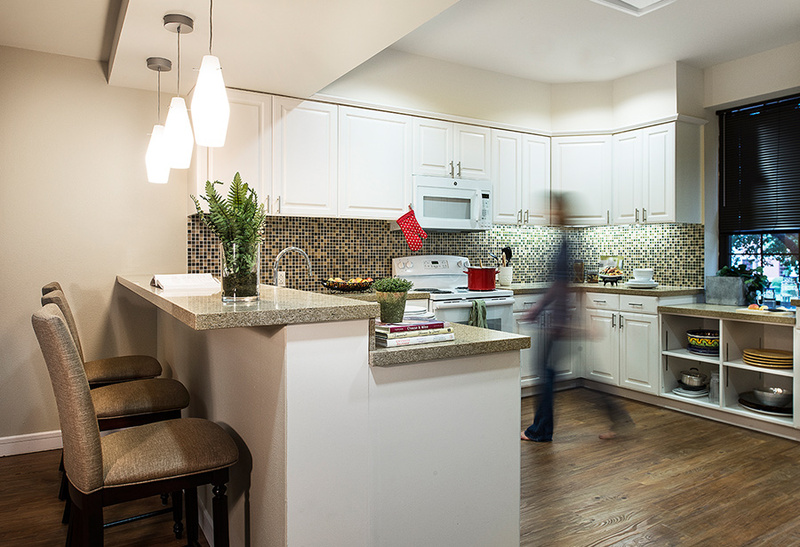 The faculty-in-residence apartments are approximately 2,400 SF and provide faculty and their families a space that truly feels like home. 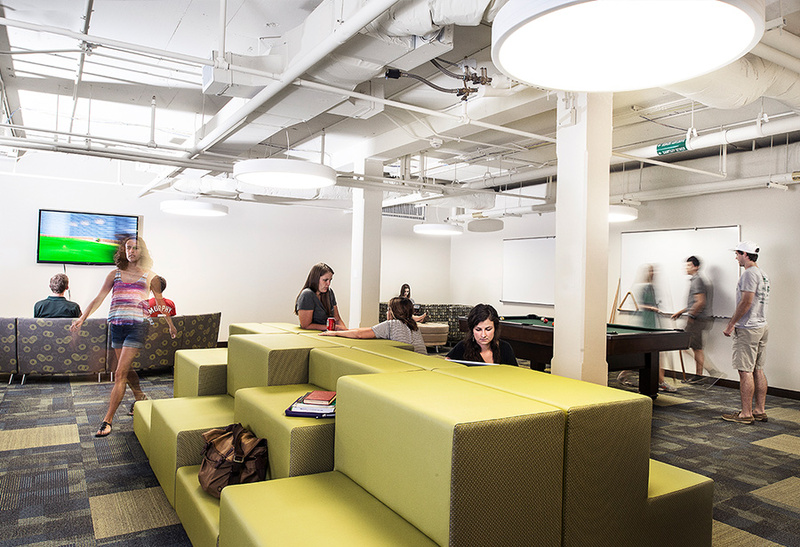 North Russell Hall was updated for code compliance, accessibility, and HVAC systems, as well as new spaces for student gathering and socializing. 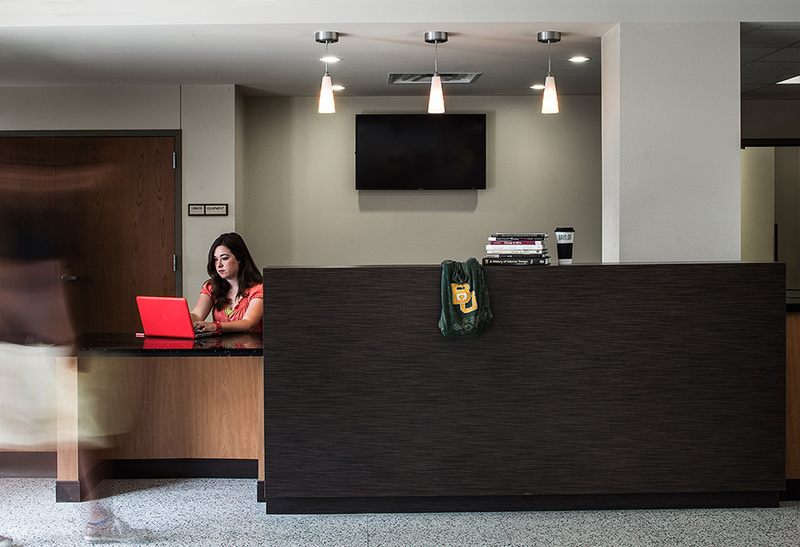 Baylor agreed to reduce capacity in order to create lounge and study space on each floor, and resident faculty and staff apartments at the ground level. 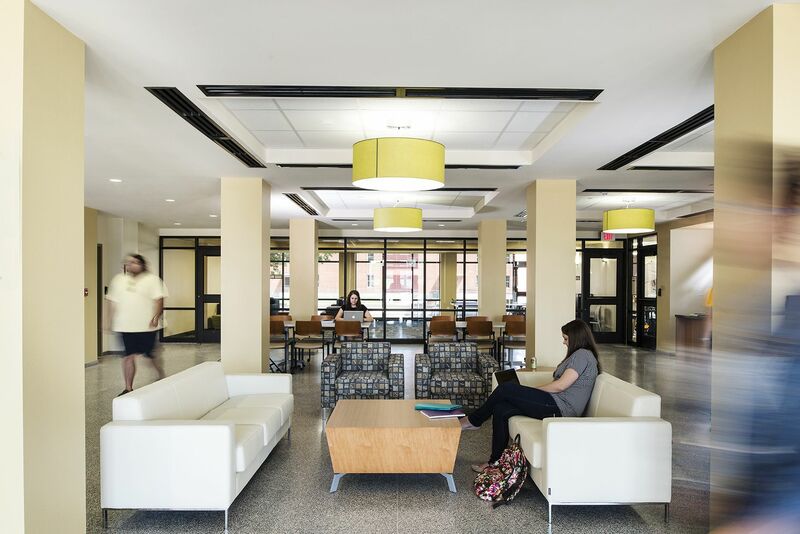 Now home to one of the University’s Living-Learning communities, North Russell Hall is home to 378 students after the renovation, as well as Faculty-in-Residence, Resident Chaplain, and Hall Director. 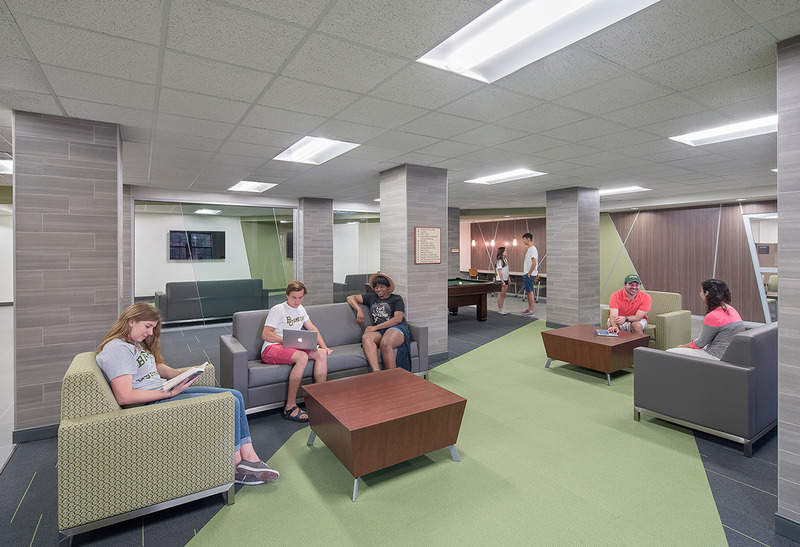 A cavernous lobby space was given new life with a new reception area and an enclosed game room, which opens to a shaded patio for study or socializing. Community bathrooms were replaced completely, and student rooms received fresh finishes and movable furniture. 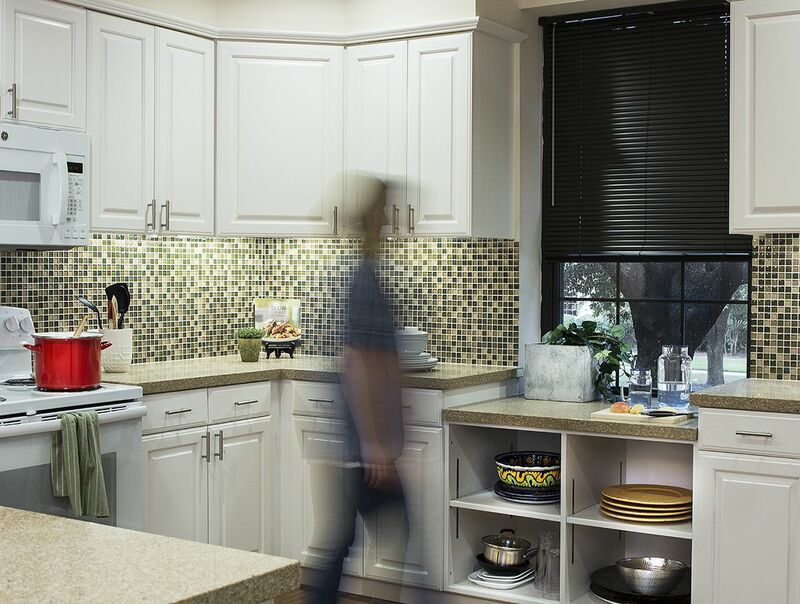 Other ground-level amenities include a classroom, Reflection Room, Meeting Room, staff offices, and a spacious residential-style full kitchen for students. 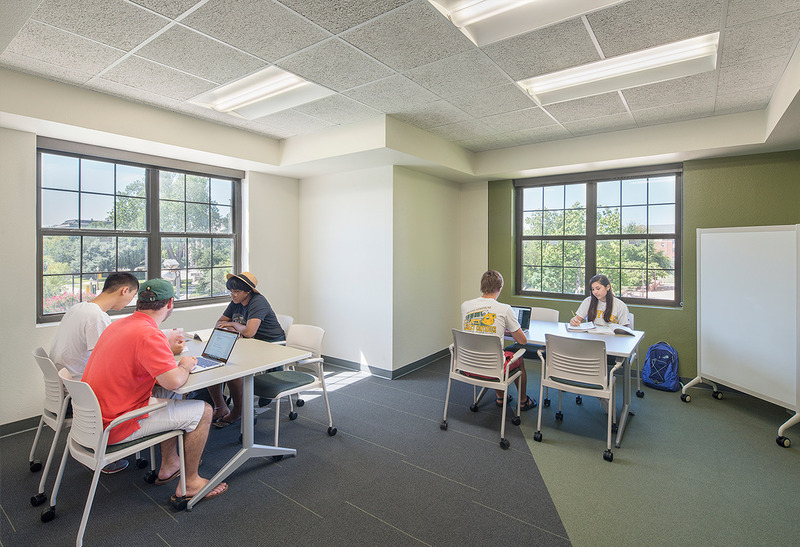 The light renovation of Penland Hall included updates for code compliance, accessibility, and HVAC systems, as well as new spaces for student gathering and socializing. The University agreed to reduce capacity in exchange for loung and study space on each floor, and resident faculty and staff apartments at the ground level. 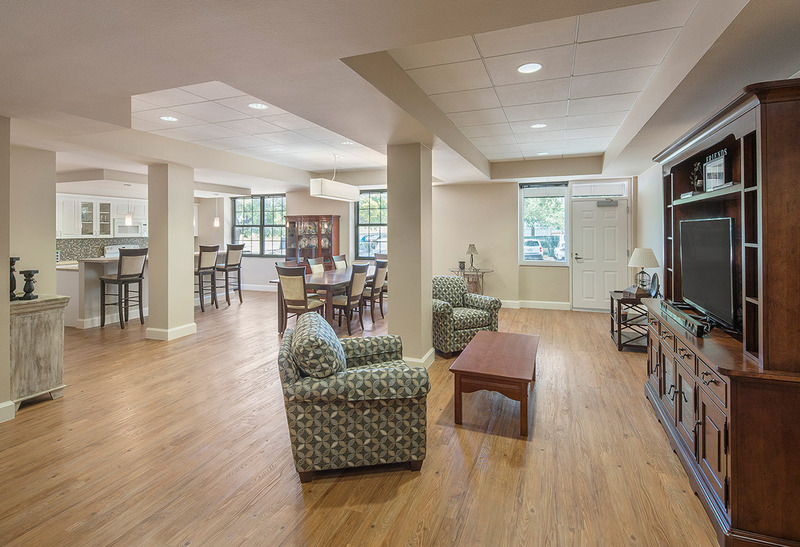 The refurbished hall houses 436 students after renovation, as well as Faculty in Residence, Resident Chaplain and Hall Director. 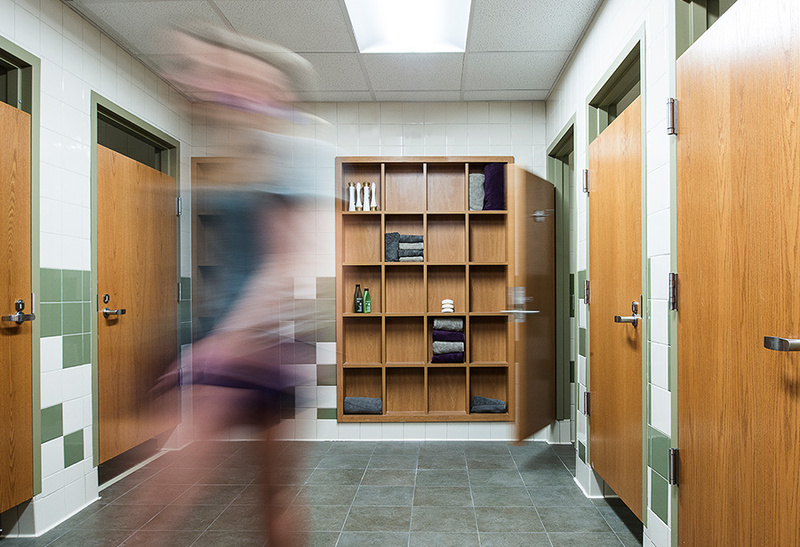 Community restrooms were completed replaced and student rooms received fresh finishes and moveable furniture. Other ground level amenities include a Reflection Room, Meeting Room, classroom, staff offices and a residential-style full kitchen. The building is also home to the University’s Campus Living & Learning offices, which also received a much-needed update. Its spacious lobby, with gaming and social space, provides a glimpse into campus life for prospective students.